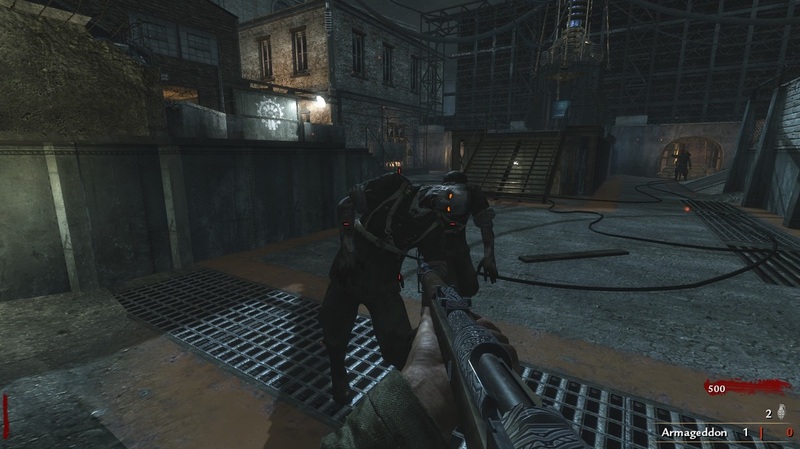 This mod lets you play gun game on Der Riese using 18 weapons from Call of Duty 2. If you're feeling up to more of a challenge, you can enable verrukt sprinters in the game settings. Double Tap is Double Tap 2.0. Max ammo drops will refill your magazine. Carpenters and nukes will give double points during a double point powerup. As far as I know, this is the first mod to use COD2 weapons with their actual animations. All others have always replaced them with newer animations from WaW or other newer COD games. Credit to DiduKnowiPwn for the Gun Game script. 1 kill = 1 bullet given in the magazine. This mod lets you choose between 8 weapons to use and you can toggle Verrukt Sprinters for added challenge. Quick revive is solo revive in this. The mod is for Der Riese only.